A recent reading in Psalm 8 was of great encouragement to me as I reflected on our amazing God. 1 O LORD, our Lord, how majestic is your name in all the earth! You have set your glory above the heavens. 2 From the lips of children and infants you have ordained praise because of your enemies, to silence the foe and the avenger. 3 When I consider your heavens, the work of your fingers, the moon and the stars, which you have set in place, 4 what is man that you are mindful of him, the son of man that you care for him? 5 You made him a little lower than the heavenly beings and crowned him with glory and honor. 6 You made him ruler over the works of your hands; you put everything under his feet: 7 all flocks and herds, and the beasts of the field, 8 the birds of the air, and the fish of the sea, all that swim the paths of the seas. 9 O LORD, our Lord, how majestic is your name in all the earth! I am so thankful for the reminder of verse 4 – that God has never forgotten about us, no matter where we are. He knows the challenges we face, and understands our hurts and heartaches. He never loses sight of us when we face lonely and difficult times, and is willing to come alongside wherever in the world we are. As I reflected on this passage, the words to the following worship song came to mind. But then as I listened to this song, I realized that this truth about our God who knows and cares for us, was not only for me, but for family members who live far away from us. I have to admit that leaving our children behind in the USA this time was more difficult than I imagined it would be. But if I believe that the creator God watches over me, and cares for me every step of the way – then the same is true for each of my family members and friends. He knows their every need – He knows their every care, and will never leave them, no matter where they live. That assurance of His care for them, and for me – brings great peace to my heart. 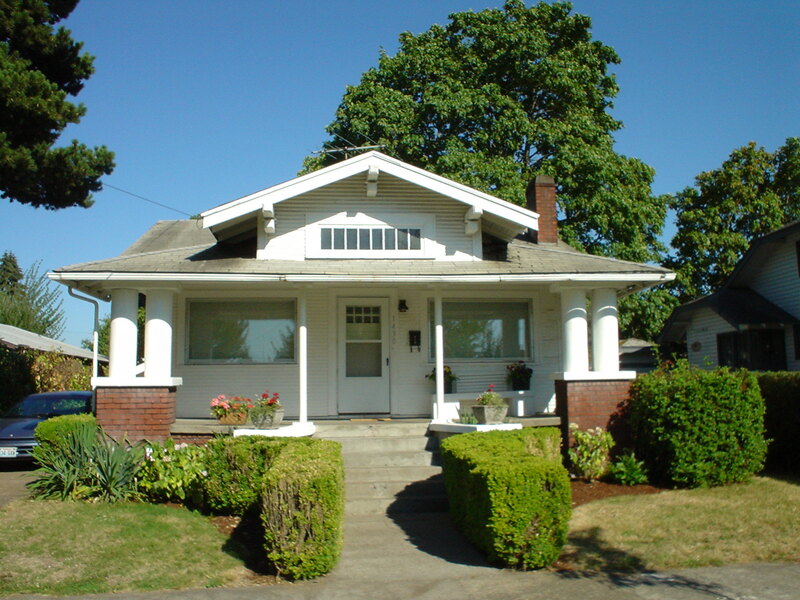 Growing up in Canada and the USA, we were used to the traditional single family style home with a front and back yard. We spent many hours outside playing with our friends and siblings – lots of space to run and play. Debbie recalls growing up on a street where there would be maybe 12-15 houses per block. During his high school years in the Yukon, there was much more open space for Joel to enjoy & explore! So what happens when you leave the wide-open spaces of North America and come to live and work in Asia? Well, when we first arrived in Asia, we discovered that most of the housing options were apartments. Most of the places we were able to rent had adequate space for our family (our perception of what was adequate changed the longer we lived in Asia). The only thing missing was a back yard for our kids to play in! When we lived in Taiwan, the streets in front of our apartments were usually too busy with traffic to allow our kids to go outside and play. So we needed to find and sometime create places for our kids to run & play. Our three kids adapted to their new environments better than their parents – and found many different places to go and play within the apartment complexes (including the rooftop and parking garage in the basement). 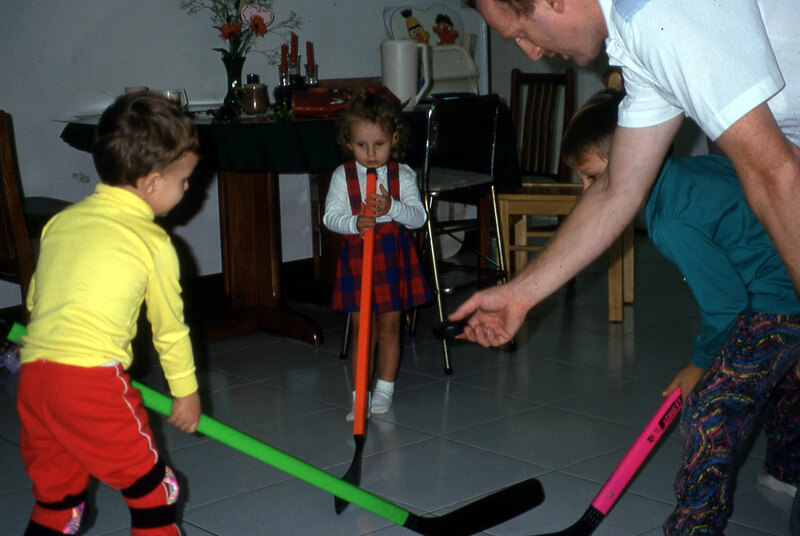 When we lived in Taipei, our kids would play ‘floor hockey’ in the over-sized living room / dining area of our apartment. That was fine until an errant stick knocked over & broke one of our family heirlooms! They didn’t spend all their time indoors – we did find some parks for them to go & play with their friends as they got older- but a significant amount of time was spent playing indoors during those years. During our first five years in Hong Kong we were privileged to live on the spacious grounds of 23 Kent Road. With a two-storey building converted into four apartments, this was just the place we needed for our teenage kids. For the first time, Debbie had a large-sized kitchen – one where more than two people could fit at the same time! In addition to the spacious yard with grass, there was a garage and driveway – on which we set up a basketball hoop and hockey net for all of us to use. It was wonderful! During our last term (2005-09) we lived in a quieter housing estate up the mountain called Lakeview Garden. Many of the local Chinese didn’t like to live there, as it meant driving by a crematorium on the final stretch of road up to the estate. We enjoyed living there, for the peace and quiet it offered – away from the hustle and bustle and noise so common in Hong Kong. 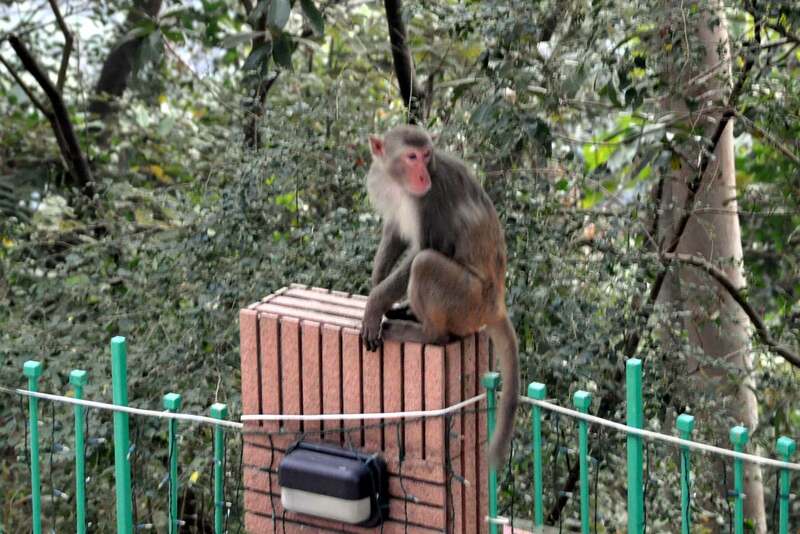 One of the unexpected aspects about life there was learning not to be startled by the monkeys that would come strolling by or swinging through the nearby trees. Quite a bit different than what we saw growing up in Canada & the USA! All of which has brought us to our latest place to live – an apartment on the 21st floor of a residential housing estate in a district of Hong Kong called Shatin. With a little over 600,000 people living on 68.71 km2 (26.52 mi2) of land, Shatin is the most populated district in the most populated area (New Territories) of Hong Kong. So much for wide open spaces! Everywhere you look around here, you will see apartment buildings. On our street that runs about 750 meters long, there are 5 different apartment complexes, with a combined total of 3,721 apartment units. Just a little ways up the road from us is an area called City One. 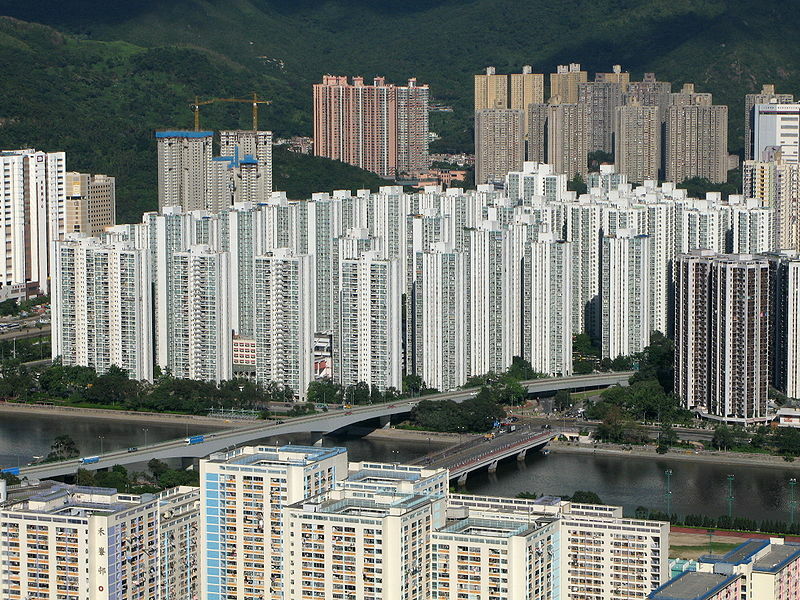 It’s the largest residential estate in the Shatin District, with a total of 10,642 apartment units spread out among 52 blocks of residential buildings with each tower between 30-34 floors in height. Oh give me a home …. Yes, is it crowded in Hong Kong. Yes, it has been a challenge at times to live in an apartment, and there have been times when we’ve missed the large open spaces of a house and yard back in North America. But what we’ve learned over these years not to expect life in Asia to be the same as what we grew up with – it’s just different. We are thankful for our new apartment for a variety of reasons – and we hope we will be able to stay here for a long time. But as I’ve been writing this blog, I’ve realized that the most important thing about all these places that we have lived in over the years was not necessarily the size of the place, but the memories that were created in each of those places with our family. It’s not the building itself that makes it a home, but the people who live there with you. So until the time comes for us to return to North America, we will make the most of our new home here in Hong Kong. If you ever find yourself in Hong Kong, let us know, we’d love to show you our home! PS – Thank you to all who have supported our ministry over the years with your financial gifts to the C&MA (Canada & US). Your contributions have enabled us to minister here in Asia for the past 21 years, and provided us with needed housing. For more information on how to support us in our new ministry, check out the information on our support page. We are very thankful for our rich heritage & upbringing in both Canada and the United States. One of the benefits of our family over the year has been the opportunities we have had to celebrate both the Canadian and American Thanksgiving holidays. We agree with Robert Litner, who once said: “Thanksgiving was never meant to be shut up in a single day.” So we try to take advantage of every opportunity to celebrate both Thanksgiving holidays! Our preference would have been to have spent the day with our family this year, but instead we had the privilege of joining together with fellow Canadians here in Hong Kong for a Thanksgiving celebration. 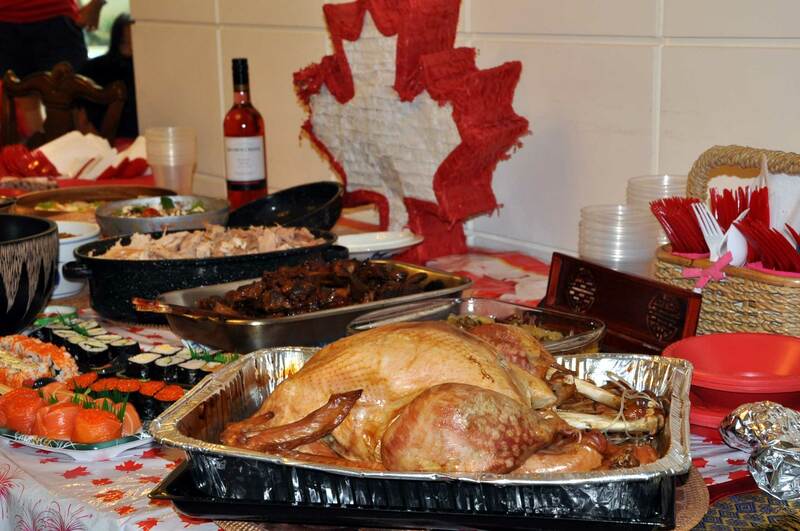 We enjoyed good food – turkey and pumpkin pie were on the menu – but we also celebrated our Canadian heritage by watching a recent NHL hockey game! Parents who have honored our call to serve overseas, even when that meant not seeing us or their grandchildren for years at a time. Siblings in both Canada & the USA who have cared for our aging parents. 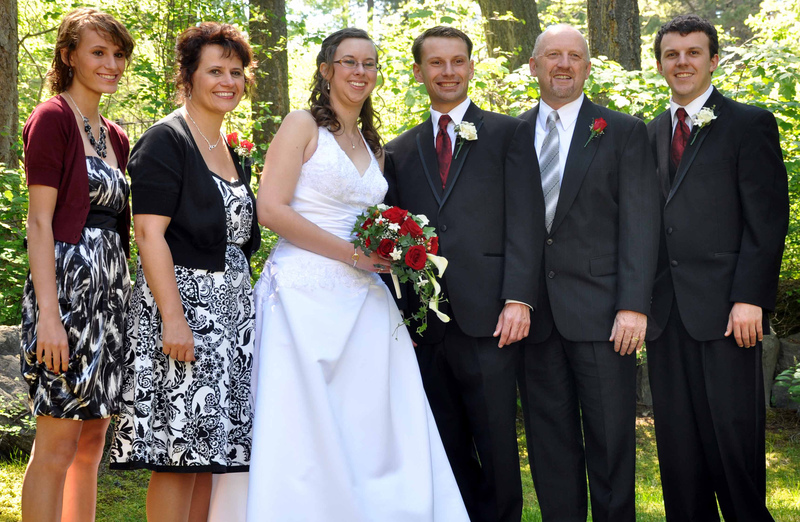 Three wonderful children, and one amazing daughter-in-law – Nathan & Jasmine (Big Fork, MT), Ryan (Lakeview, WA), Janelle (Azusa, CA). Friends in both Canada and the USA who have stood together with us in prayer, and supported us over the years with their words of encouragement and financial support. For the ways God has equipped us for ministry with Chinese people over the past 21 years, and put us in places to use those gifts for His glory. We’ve put together a little quiz to test your overall knowledge of mainland China. As you’ll see, it covers a wide range of issues that you may or may not have seen lately in the news. The answers are listed below, so no peeking (we’ll use the honor system here)! How much do you know about China? # (1) China celebrates their National Day on which day? # (5) What year did Protestant missionaries first go to Mainland China? In 2012, the Communist Party of China’s (CPC) leaders will retire and a new generation — the so-called fifth generation — will take the helm. President Hu and his Premier – Wen JiaoBao, are both due to retire from the Politburo at that time, although President Hu is expected to hang on to the position of Chairman of the CCP Central Military Commission – the equivalent of commander-in-chief – for up to five years..
Jiang ZeMin was President of the PRC from 1993 to 2003, and came to power in the wake of the Tiananmen Square protests of 1989. Chen GangSheng is better known by his English name – Jackie Chan. # (3) The largest (most populated) city of China is: (b) 上海 Shanghai. 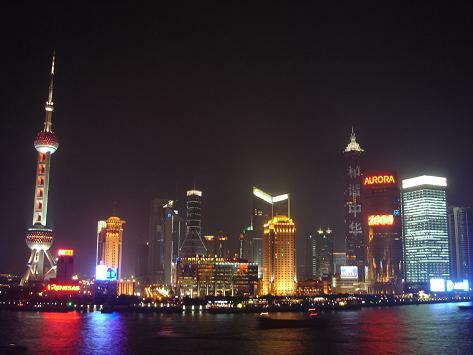 With a population of 17 million people, Shanghai is China’s most populated and developed city. In the past 20 years Shanghai has again become an attractive city for tourists from all over the world, and this year is hosting the 2010 World Expo, where nearly 200 countries and 70 million visitors are expected. Beijing – the capital of China, in the northeastern part of the country and home to 2008 Olympic Games has an estimated population of 13.2 million people. Guangzhou – the capital city of Guangdong province in southern China has a population of 12 million people. Sometimes called Canton, Guangzhou is the leading industrial and commercial center of southern China. Shenzhen has grown from a small fishing village in the 1970’s, to a city of nearly 9 million people. Located right across the border from Hong Kong, it was China’s first Special Economic zone, where foreign nationals have invested heavily, building factories and forming joint ventures. There are over 50 cities in China with a population over one million. A panda consumes some 30 lbs. (14 kg) of bamboo shoots (not to be confused with this blog page), stems and leaves daily. The Giant Panda is native to central-western and south western China, and can be found mainly in Sichuan province, but also in Shaanxi and Gansu provinces. Englishman Robert Morrison was the first Protestant missionary to China, starting at Macao and then moved on to Canton (Guangzhou). Morrison produced a Chinese translation of the Bible (both Old & New Testament), and also compiled a Chinese dictionary for use by westerners. 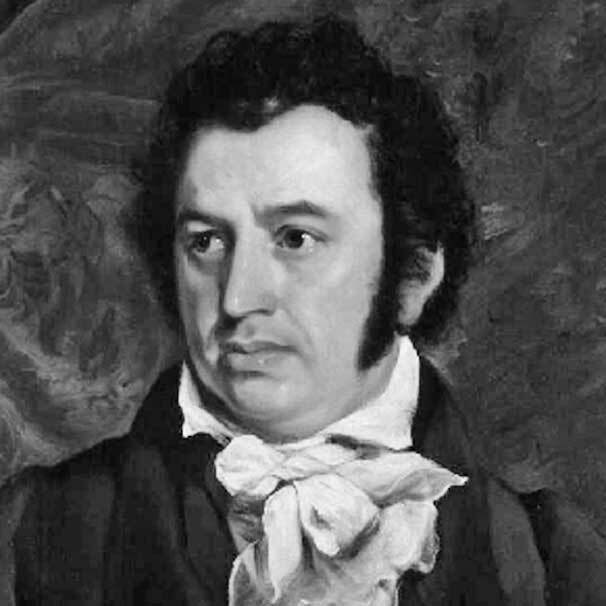 In 1830, Elijah Coleman Bridgman, the first American missionary to China, arrived at Canton at the urging of Robert Morrison. Check this web page for more stories about Christianity in China. Let us know how well (or badly) you did on the test! Pray that leaders at the Guangxi Provincial Training Center (south central China) would continue to experience God’s enabling for all of their work. In addition to teaching the 40+ students currently enrolled in the nine-month training program, they are also involved in planning the construction and financing of the Guangxi Provincial Training Center – pray for God’s leading and provision for this need. Debbie has resumed her leadership role as the chairman of the Bible division for ICS. We are finishing up a review of the Bible curriculum and are in the midst of proposing some new elective courses for high school, which is a new step for our school. Pray for the Lord’s wisdom and unity to be ever present during this process.